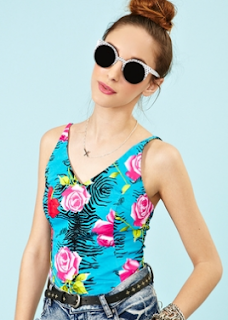 Back to summer time reality with this great vintage top! Love the bold print, which is prefect for heatwave chic - pair with cut offs and ankle boots on the weekend or a white skirt and demure cardigan for work! Buy at Nasty Gal for $58.